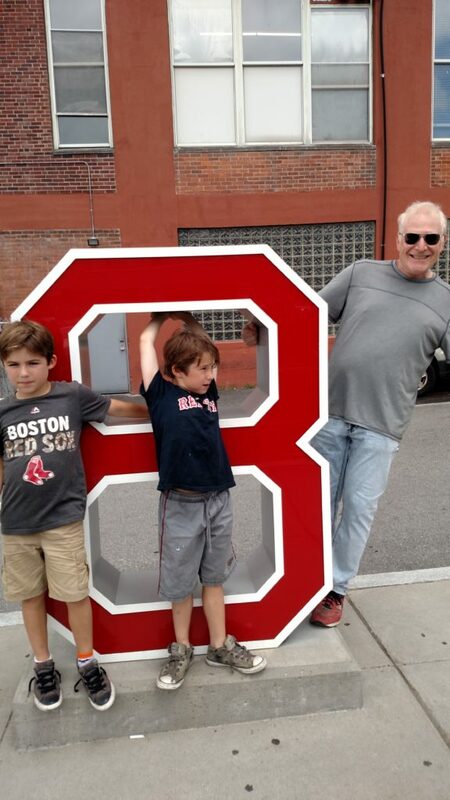 Boston, Mass – For Father’s Day, the twins got Daddio tickets to the see the Red Sox. Lucky me, I got to attend the game too! So nice of them to get an extra ticket for me. (We beat the Seattle Mariners 5-0 and saw Mookie Betts make a phenomenal catch. It was a more captivating game than we saw during their first visit to Fenway Park three years ago.) In honor of our first game this season, here is a little Red Sox history lesson. And I’m not talking about the Curse. For more than four decades, the road on the west side of Fenway Park was called Yawkey Way, named for the former owner of the Red Sox. 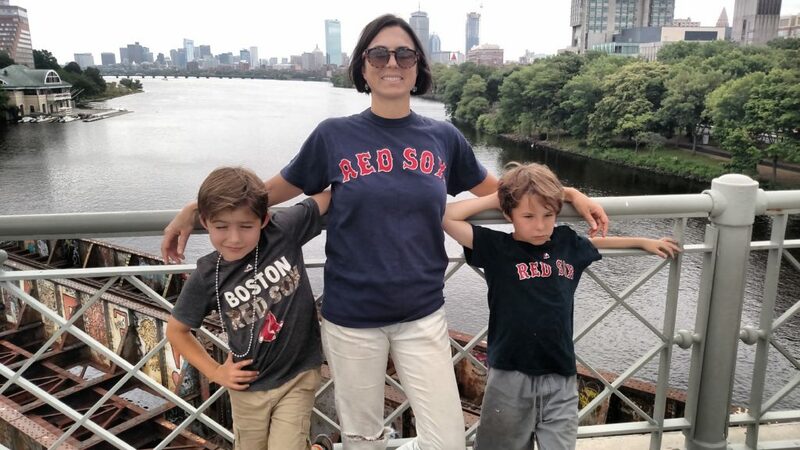 Last month, with the blessing of current Red Sox ownership, city officials changed it back to its original Jersey St.
Namesake Tom Yawkey – Red Sox owner from 1933 until his death in 1976 – was revered for the good work of his family foundation. But during Yawkey’s tenure, while society and baseball changed, the team and the city did not, sparking allegations of racism. Red Sox management resisted efforts to integrate, and Yawkey passed on the chance to sign baseball greats Jackie Robinson and Willie Mays. The Red Sox were the last all-white team in the major leagues, holding out until 1959 to sign their first African American player. The racist legacy of the organization, as well as the city, plagued the franchise well after Yawkey’s death. Even now, this seemingly progressive city has a reputation for overtly racist displays, especially by sports fans. The Boston Globe documented that athletes reported more incidents of being targeted by racial slurs in Boston than in any other city in the past 25 years (including one highly publicized incident in 2017). In an attempt to make Fenway Park more welcoming to all, current Red Sox owner John Henry led the push to revert the street name, telling local newspapers that he was ‘haunted’ by the club’s history. The Red Sox is also involved in the Take the Lead Campaign (www.taketheleadboston.org), an initiative to end hate speech and to promote diversity and inclusion on the fields. 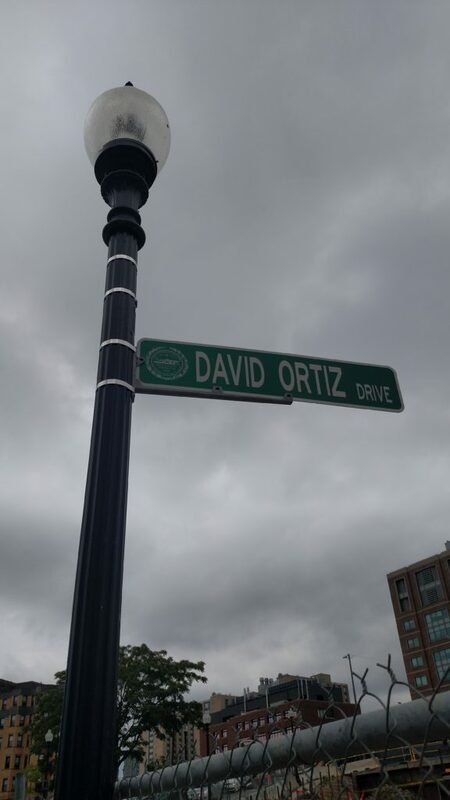 Incidentally, the former Yawkey Way Ext is now known as David Ortiz Dr, after the Dominican-born slugger, who led the Sox to three World Series victories before retiring a hero in 2016. And to finish, no Red Sox history lesson is complete without a mention of Daddio’s favorite player of all time, No 8 Carl Yastrzemski!